Well...it's here, the first meeting and sketchie challenge with our Design Team and I'm thrilled with the examples we have to show you. 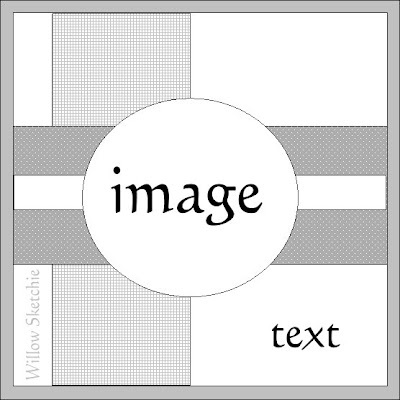 As it's the first challenge with all of us on board, I will be awarding a spot prize for the "most creative" challenge entry..so, if you fancy your chances of winning some stash, become one of our followers, post your entry on this thread and direct us to your make..we wanna see how creative you can be. 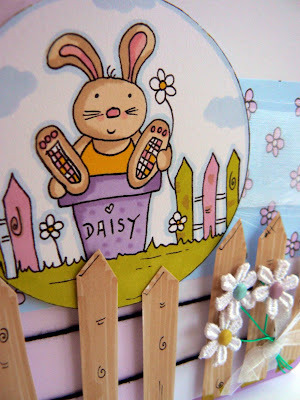 The DT have been working this week with our NEW DOWNLOAD...Daisy Rabbit, launched today! 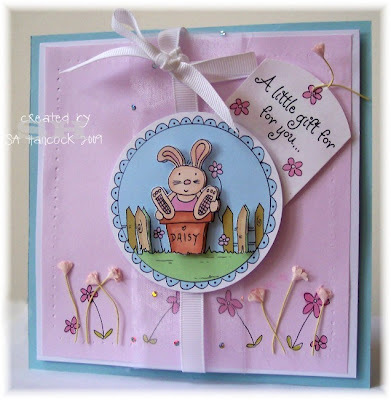 This weeks sketchie and challenge was set this week by Dawny......thank you ..splendid job! 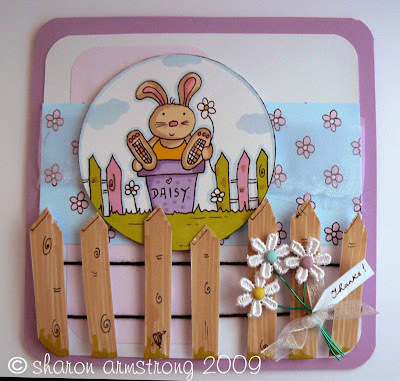 Theme: Daisies With Doodles and Dimension!! Twist: There has to be at least one thing on it that is not totally flat and there has to be some doodling on it somewhere. 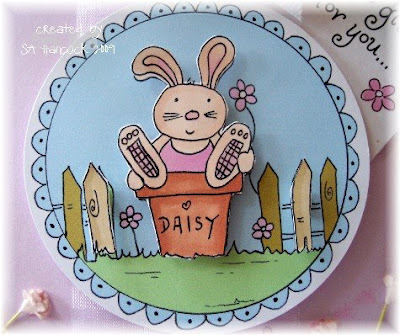 all fab creations,i can see why you picked these very talented ladies now sharon..well done all..and the new download is gorgeouse just im time for those easter cards. Love the new downloads! 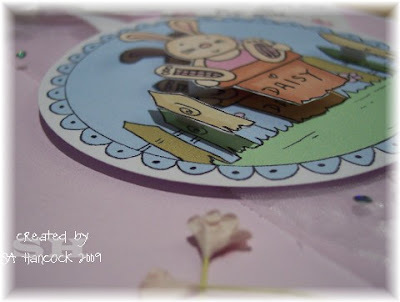 Fab cards from the design team. Oh My These are `gorgeous` Sharon..what a `fab` DT You got there..so beautiful.. 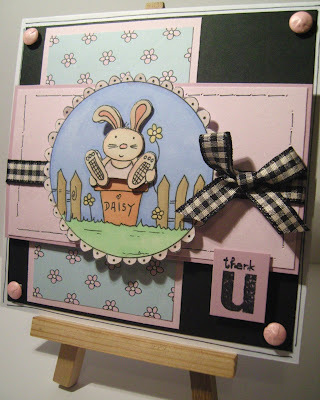 I love all of your work girls.......well done Sharon.....she is a sweet little bunny. These are really beautiful cards ladies I love them all! Here's my little effort and I just love little Daisy! Fantastic cards well done to the dt. I just love the image its so cute. Hi guys, i have completed this challenge, pop over to my blog and check it out, would love to know what you think. The DT cards are stunning. What fantastic DT cards. I'm afraid I put my sentiment in the wrong place, sorry. Here is my card.